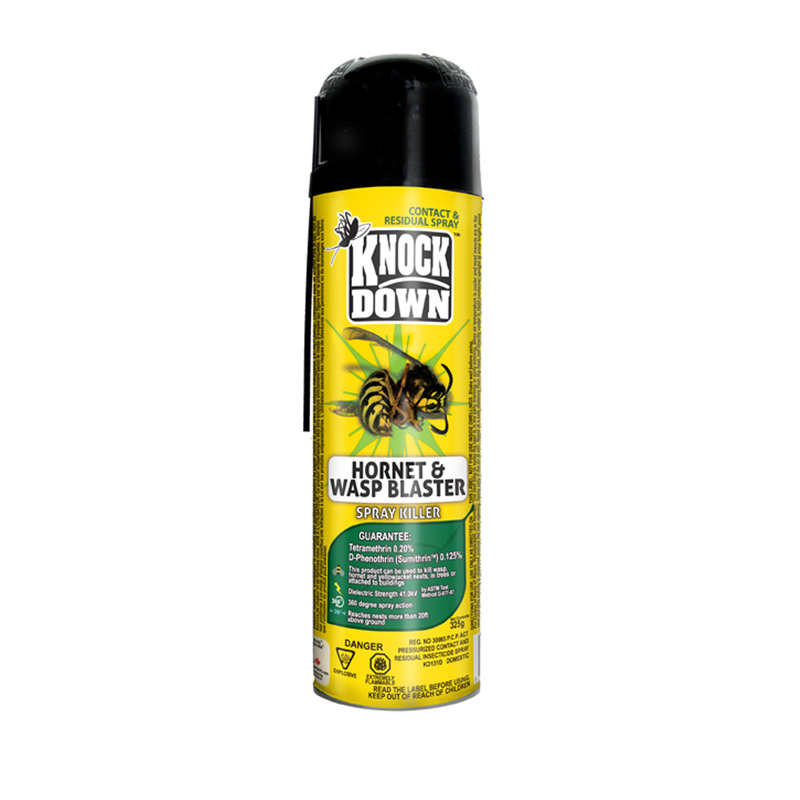 KD131D – KNOCK DOWN – HORNET AND WASP BLASTER – SPRAY – KUUS Inc.
*Do not use inside homes, on humans or animals. *Do not use as a space spray. The best time to spray the nest is in the early morning or early evening, when air temperature is cooler and most insects are in the nest and little activity is observed around the nest opening. Spray only if the air is still. Stand at a safe distance from the nest, not directly under it. Hold container upright at arms length, point the actuator at the nest and spray into the opening of the nest first. Then spray the rest of the nest until it is saturated. Treated insects may fall out of the nest and die. Any insects returning to the nest after treatment will be killed.